Though not a hike per sé, I thought it might be fun to include a short note about a hidden gem I discovered today in my own neighborhood outside Boston. Prospect Hill Park is just 1/5 mile northeast from Union Square (follow Stone Ave. 350 yards to the park) and steeped in history, of which I was completely unaware until visiting. A prominent base for the Continental Army in the months thereafter. Originally occupied by just 400 men under the leadership of Colonel John Patterson, Prospect Hill became a primary encampment for Colonial forces after General Israel Putnam’s retreat from the Battle of Bunker Hill in June (Samuels and Kimball, 1897: 54). 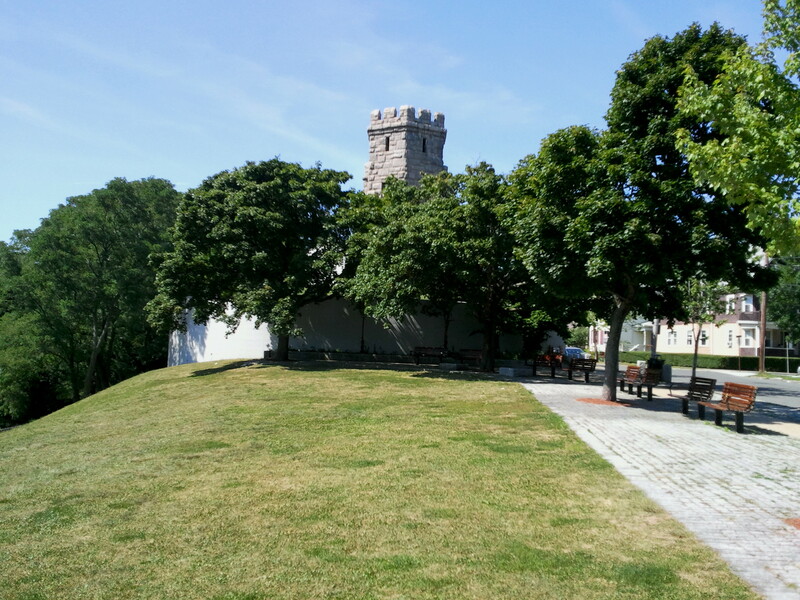 By January 1776, the “Citadel” at Prospect Hill housed nearly 3,500 rebel fighters (Frothingham, 1849: 291)—the most heavily fortified base during the siege of Boston. Regularly visited by General George Washington to interview officers and assess British formations across the Charles River in Boston. On January 1, 1776, the site of the first official raising of the American flag—but not the stars and stripes we know today. Instead, the soldiers at Prospect Hill raised the “Grand Union Flag,” which represented the 13 united American colonies…but also bore a striking resemblance to the British Union Jack. Thereafter a camp for British prisoners of war from 1777-1778. More than 2,300 British soldiers captured at the Battle of Saratoga were held at Prospect Hill. The site from which 100 guns were fired in 1842 upon the founding of the city of Somerville. A training camp for Union soldiers during the Civil War. 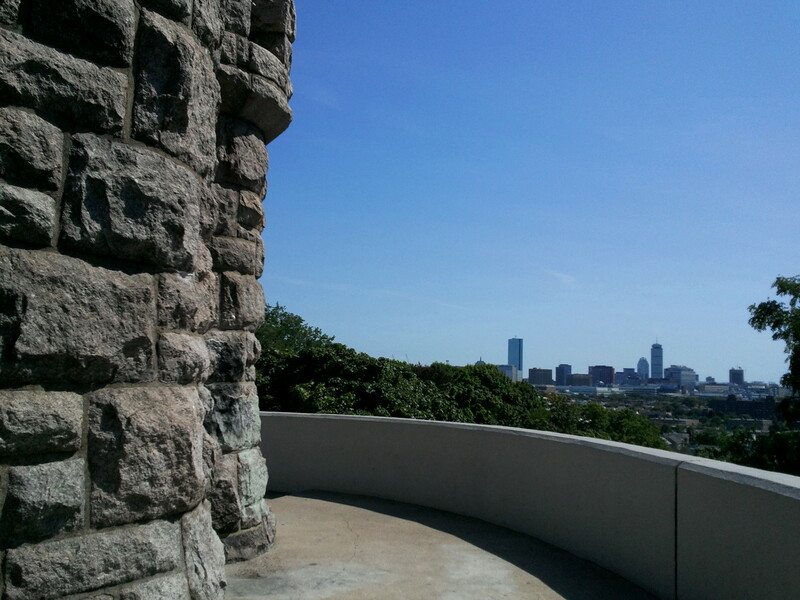 In 1903, the 42-foot Prospect Hill tower—which resembles a Medieval-era European castle turret—was constructed as a commemoration to the site’s historical importance. A replica of the old Grand Union flag reportedly flies there to this day (though it was nowhere to be found on the Sunday that I visited). Today Prospect Hill Park is a small but intriguing destination for picnickers, dog-walkers, and couples looking for a romantic evening walk. The main draw, besides the awesome tower, is the stunning view of the Boston skyline (or at least of Back Bay, Prudential, etc.). 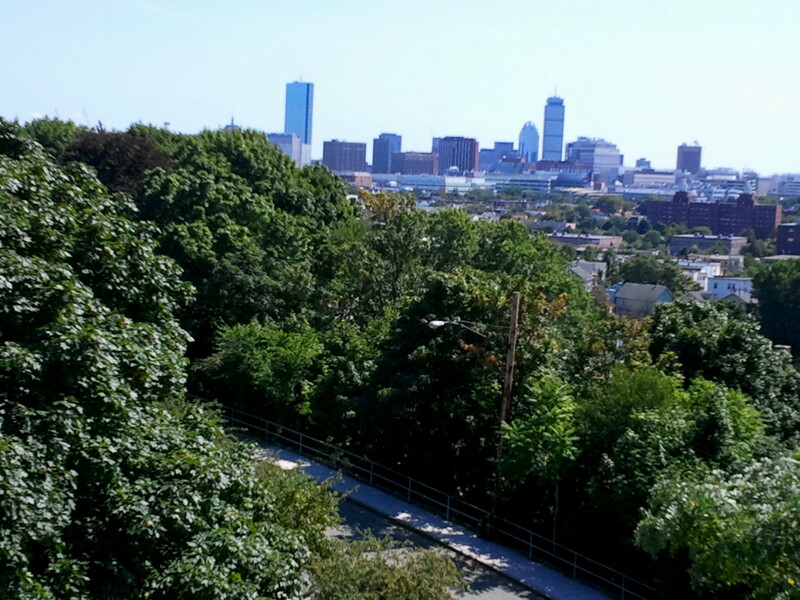 For Somerville, Cambridge, or Boston residents or visitors to Union Square, Prospect Hill Park is well-worth a peek! 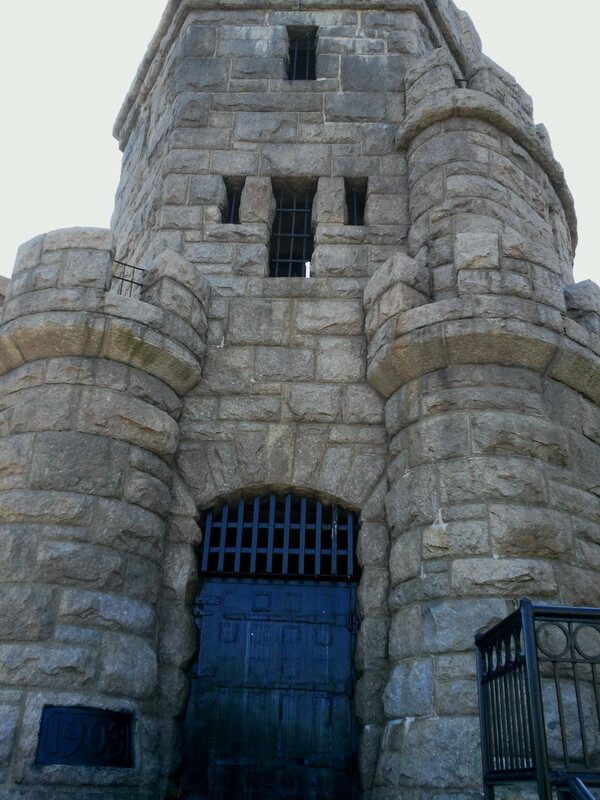 This entry was posted in Boston, Massachusetts, Revolutionary War and tagged Boston, castle, George Washington, Grand Union Flag, historic, Massachusetts, Prospect Hill, Prospect Hill Park, Revolutionary War, Somerville, Union Square, wheelchair-accessible. Bookmark the permalink.